A Bachelor's degree in the field of Social Sciences (e.g. Anthropology, Sociology, Geography, Economics, Political science, International Relations, Development Studies, European Studies, Liberal Arts and Sciences), or humanities (e.g. History, Philosophy, Arts and Culture), or an equivalent level of relevant education or working experience. Do you have a passion for research and work in the field of globalisation and development, rooted in undergraduate studies or experience in the field? Are you interested in individuals and communities, as well as in the broader relations between the Global North and South? Do you have the ambition to develop your academic research skills and to use academic insights to make a positive impact in the world? If so, this may be the right programme for you. The masters in Globalisation & Development Studies is a social science programme that focuses on how the dynamics of globalisation affect developing areas. You will develop the theoretical, analytical and practical skills that are essential for either an academic or professional career in globalisation and development. 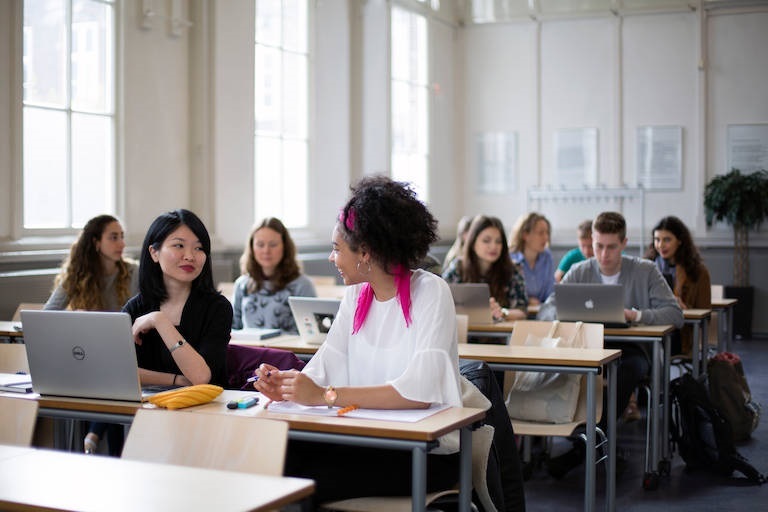 The masters programme in Globalisation & Development Studies is a social science programme that focuses on how globalisation trends affect and interconnect different areas of the globe while marginalising others and how they produce diverse local responses. While acknowledging the roles of the state and the market, you will examine the processes of globalisation and development from the ground up. You will look at how they are experienced in the everyday lives of families, indigenous communities, migrant diasporas, grassroots organisations and NGOs. As a Globalisation & Development Studies graduate, your thorough academic training prepares you for both a professional and an academic career.